DD Free Dish India's Free DTH service recently moved to new satellite. 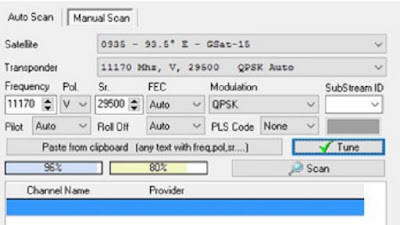 DD Free Dish gets 5 high gain transponders (Frequencies) for DTH platform. 11170 TP have very low signal (5%-15%) or some time signal fluctuates. But it’s amazing, some set-top boxes getting good signals from same frequency 11170. 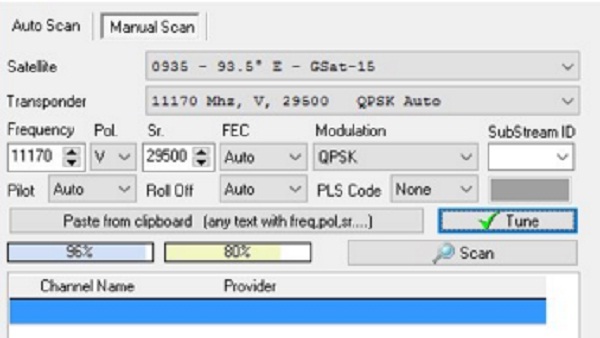 Some set-top box tuning this frequency, but showing "No Signals" on TV display. Mr. CK Jain who is Dy. Director General in Prasar Bharati, already informed to ISRO about this problem as he informed in official twitter handle. We are receiving several problems about low signal strength of two transponders. ISRO has been requested to solve this. So don’t worry DD Free Dish lovers no need to be panic or change your set-top boxes. This problem will be shorted out very soon. 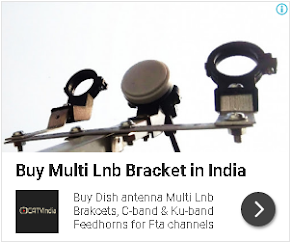 Please let us if you have any other issue with your DD Free dish signals so that we can mention here and try to find solution for that. Exactly the problem faced by me also but for the TP 11170 and other four TP signal good. Unfortunately, a new problem occuring that is sometimes the signal gets worst and recovers by its own. I though that there must be problem in lnb or stb or cable or any loose connection, nothing such found. And the antenna position is right. But the problem not solved for me. Sir! No dangal, star utsav, zee anmol and other chanel,plz help! No problem in any TRANSPONDER.... Purchase SOLID 9048 eco HD set top box and seach to use ALL 112 channels. Mpeg 4 channels also useful to watch. No issues in southern INDIA .... as well as in Bangalore. Kbhi kbhi kuch channels aaten h ....baaki sbhi channels me week signal ya no signals aisa aata h...plz do needfull as soon as possible. i am no able to watch any channel for more than 20 min. channel will start receiving no signal or will keep blinking and am missing so many serials like swaraagini, cid,yamhai hum,sub kheklo sab jeeto, 9 to 10 kids cartoons and also many others in REgional channels like dd saptagiri , chandana, national , big magic, news nation and many others ..... please solve this issue as early as possible . In Mumbai Mankhurd there Problem with dd free dish some time some channels signal fluctuates signal is not stable thats why Program starts blinkng is there need of new set top box or what is the Problem ??????????? I am getting 100% signal quality in almost all the channels, but few are recieving only 0 to 15% like AlZajeera and some news channels. I'm using mpeg 4 hd solid stb box with HDMI cable. Picture quality is super. Hope signal quality problem will be sorted out soon and new channels be introduced. No program found on 11470 and 11550. Can any one help? I am also getting "no signal " screen on tv display. What are the solution to overcome this? I m getting no signal screen from today morning. all channel frequency fluctuating. unable to watch to channels except DD UP, Dangal, pl fix the issue at the earliest. Sir free dish receiver ko usb port kaisa set kare plzz bolo..
tv channels are visible but radio channels has no signal.why so? may be there is any problem in your LNB setting for a particular box which is not working at home,revise it, else, you can try side by side with the setup box too. Fluctuation problem in some channels otherwise signal quality and strength is enough jamnu kashmir district budgam charari sharief my name parvez.